Wedding Sparklers Work Great for Daytime Exits, Too! No bride or groom wants their special day to be just like everyone else’s. If you opt for a traditional wedding this is exactly what you will get, a wedding that is run of the mill. This is probably why more and more couples are looking to change up even some of the most simple aspects of their wedding. Replacing rice and confetti with wedding sparklers may not seem like such a big change, but when you see the impact they make on your guests you will be glad you chose them over the usual newlywed exit traditions. Perhaps one of the biggest reasons why wedding sparklers are gaining in popularity is because they are different. Everyone knows that the traditional way to do a send off for the happy couple is to throw rice at them. But rice is an old tradition that does not always sit well in modern society. Sparklers, on the other hand, are bright and colorful and offer a sense of playfulness and excitement that little else can. Sparklers remind us of happy days in childhood, when we ran around making patterns in the air with bright and colorful sparklers. In some venues rice and confetti have been banned, both for the mess they leave and because they can be a falling hazard. This makes finding sparklers for sale an attractive option. Not only are they clean, safe, and easy to use, but they are a fun way to send off the newlyweds. Some people make the assumption that wedding sparklers are not the best choice for daytime weddings. While it is true that they really stand out at night, the sparklers are very bright and work equally as well during the day. Perhaps part of the fun is the excitement of sparklers and how they offer guests an opportunity to participate in some way. No matter whether it is daytime or evening, wedding sparklers will offer a feeling of joy and excitement for sending off the bride and groom. 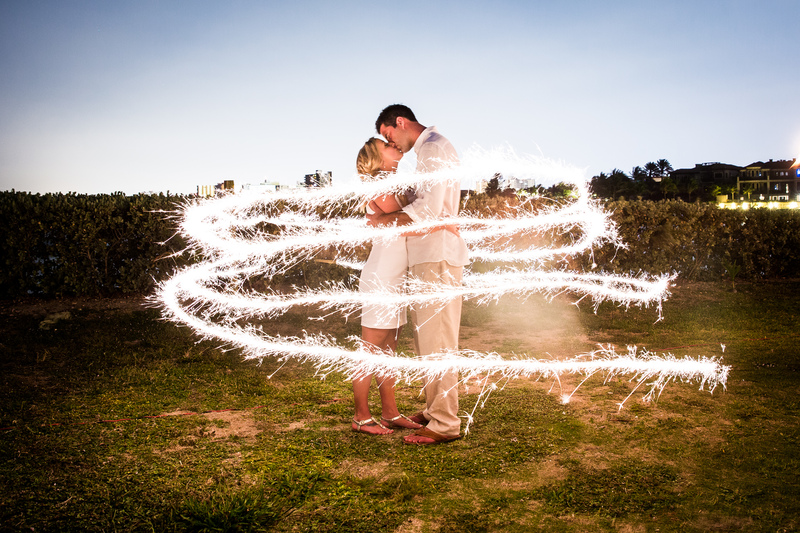 Wedding sparklers come in 3 different lengths so you control the amount of time they burn. The 10 inch sparklers burn approximately 30 seconds, the 20 inch sparklers burn about 1.5 to 2 minutes and the 36 inch sparklers can go for up to 3.5 minutes. This allows the joy of the moment to go much longer than a few handfuls of rice. The sparklers are considered to be quite safe. Simply keep a bucket of water available to place them in when they are burned out. Once the sparklers have burned out, all that is left is a metal rod. Our sparklers for sale come with easy light tips to ensure that all of them can be burning at the same time. Wedding sparklers are an incredible addition to any wedding, and are best used as wedding favors and for newlywed exits. Your guests will appreciate the last chance to celebrate with the bride and groom before they head off for their honeymoon. Create incredible memories that won’t soon be forgotten with this unique and fun way to end your special day.